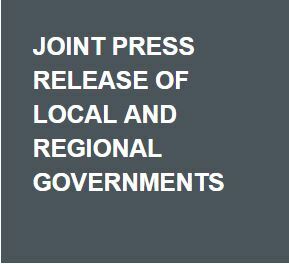 The first Strategic Partnership between the major global and regional associations of local governments and the European Union was signed in January 2015. The strategic partnerships will each last six years – up to the end of 2020. 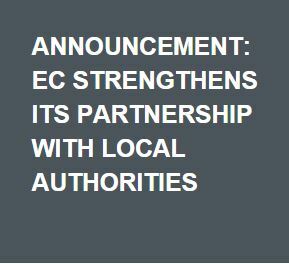 Through this six-year partnership, the EU has recognised the role of municipalities, towns, cities and regions as policy and decision-makers in addressing global challenges and in implementing the shared global agendas at local level. In 2011, the European Commission adopted the Agenda for Change, which acknowledged civil society organizations and local authorities as essential development actors in building broad-based democratic ownership of development policies and processes, and in ensuring inclusive and sustainable growth. This led to a structured dialogue between local and regional governments and the European Commission and to the 2013 European Commission Communication on “Empowering Local Authorities in partner countries”, which acknowledges the efforts made by local governments to actively contribute towards international development. The strategic partnership aims to unlock the development potential of local authorities and our associations in partner countries to enable us to respond to the demands of our citizens. By strengthening the structure and capacity of local authorities, as well as their capacity to influence the interests and practices of national governments, we can make a real difference in development. The partnership will allow networks to enhance our structures, capacity and relations with our members, and to improve our capacity to contribute to national, regional and global policy-making. It will also look at ways of improving the coordination among the associations operating at different levels (national, regional and global) as well as promoting policy dialogue among different development actors. Signatory networks UCLG, UCLG Africa, the Association International Maires Francophones (AIMF), the Commonwealth Local Government Forum (CLGF), the Council of European Municipalities and Regions (CEMR), commit to take action to tackle global poverty and inequality, and to promote democracy and sustainable development. 1. Institutional Relations and Advocacy: Enhancing the voice of local and regional authorities to contribute to the sustainable development agenda and international policies, as well as improved governance at all levels. - Legacy: Higher visibility for local and regional governments, a consolidated Global Taskforce, facilitated by UCLG and recognized as a key representative for the constituency, and a sound set of recommendations for international policy processes. 2. Providing Intelligence: Improving background documentation and arguments to support UCLG members’ contributions to EC development policies and the global development agenda (2030 and New Urban agendas). - Legacy: A robust Global Agenda of Local and Regional Governments supported by our flagship publication, the GOLD IV Report. 3. Strengthening the Network, Leadership and Governance: Enhancing members’ sense of ownership of UCLG and increasing UCLG’s capacity to act as a “network of networks”, representing the broadest constituency of local and regional governments. Improving the capacities of UCLG in knowledge management and communication and improving our governance and representativeness. - Legacy: A stronger network with broader membership and reinforced Secretariats with new tools that facilitate the involvement of the members and enable the agenda of the organization to be built from the bottom up. 4. 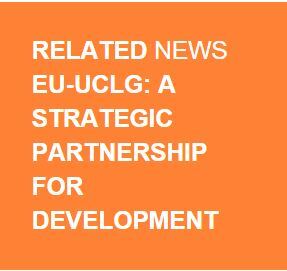 Fostering Cooperation and Learning: Increasing UCLG’s capacity to become a learning network and foster local and regional government capacities to engage in effective decentralized cooperation in partner countries (both South-South and triangular). Supporting the implementation of EC development policies and the Global Agenda of Local and Regional Governments and strengthening the capacities of LRA networks to respond to capacity building demands. - Legacy: A sound learning system active in different parts of the network that builds on both members’ experiences and mechanisms to identify the learning demands from local government members, as well as renewed partnerships that build on decentralized cooperation and peer-to-peer learning. the agreement would strengthen the network and contribute to its sustainability. It will support our transformation and enable us to serve members with changing needs. This will be most challenging part, and all of us must play a role. It is our conviction that we will be able to build stronger political networks which are resilient, more inclusive and with an even wider reach. Last but not least, the partnership will promote cooperation among local governments and foster the development of a stronger learning agenda in UCLG.